Yes computers have made impressive progress in the recent decades, but not to the point of replacing mankind. He shows very convincingly through the cases of Paypal and Palantir [pages 144-148] that computers cannot solve automatically tough issues but are only (excellent and critical) complements to human beings. Even the Google experiment of recognizing cats “seems impressive – until you remember that an average four-year-old can do it flawlessly” [page 143]. He finishes his chapter about Man and Machine this way: “But even if strong AI is a real possibility rather than an imponderable mystery, it won’t happen anytime soon: replacement by computers is a worry for the 22nd century. Indefinite fears about the far future shouldn’t stop us from making definite plans today. Luddites claim that we shouldn’t build the computers that might replace people someday; crazed futurists argue that we should. These two positions are mutually exclusive but they are not exhaustive: there is room in between for sane people to build a vastly better world in the decades ahead. As we find new ways to use computers, they won’t just get better at the kinds of things people already do: they’ll help us to do what was previously unimaginable” [pages 150-151]. You will not be surprised I prefer this to Kurweil views. 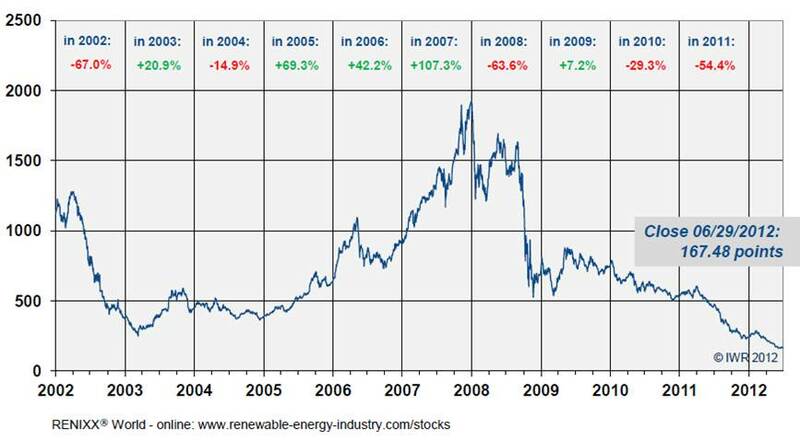 – Greentech was a bubble and it was obvious from day 1. I was always puzzled with greentech/cleantech. Why are people so excited about the promise to solve an important problem when we do not have any solution. Thiel is far tougher. First he shows the obvious: it was a bubble. Then he analyzes this industry through his “zero to one” arguments. – Engineering: can you create a breakthrough technology instead of incremental improvements? – Timing: is now the right time to start your particular business? – Monopoly: are you starting with a big share of a small market? – People: do you have the right team? – Distribution: do you have a way to not just create but deliver your product? 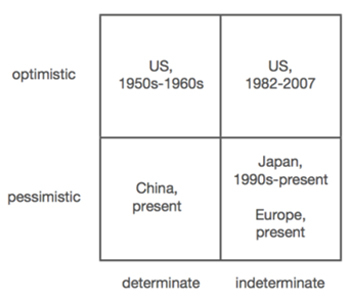 – Durability: will your market position be defensible 10 and 20 years into the future? – Secret: have you identified a unique opportunity that others don’t see? If you do not have answers to these questions, you’ll run into lots of “bad luck” and your business will fail. If you nail all seven, you’ll master fortune and succeed. Even getting five or six correct might work. But the striking thing about the cleantech bubble was that people were starting companies with zero good answers – and that meant hoping for a miracle” [page 154]. What’s next? Fintech? 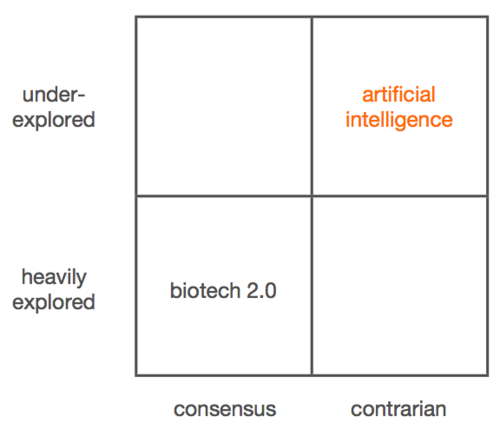 This entry was posted in Must watch or read and tagged Innovation, Kurzweil, Thiel, Transhumanism on June 1, 2015 by Hervé Lebret. 4. Focus on products, not sales. There is one point where I disagree with Thiel. 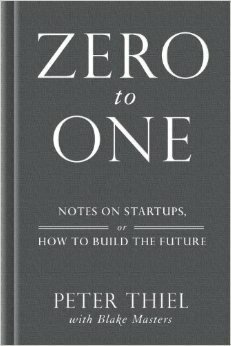 Though I tend to be convinced by his argument that monopoly is good and competition is bad – read Thiel with care for the subtlety of his arguments – I do not think he is right when he writes [page 33]: “Monopolies drive progress because the promise of years or even decades of monopoly profits provides a powerful incentive to innovate”. I prefer Levine and Boldrin. Now I do believe that established players are displaced by new players – not competitors – who innovate when the champions who have become dinosaurs stop being creative. Thiel does not believe in luck. “You are not a lottery ticket” and I agree that you can minimize uncertainty by carefully planning and probably by adapting too. He still quotes [page 59] Buffett who considers himself “a member of the lucky sperm club and a winner of the ovarian lottery”. He also quotes Bezos with his “incredible planetary alignment” (which has not much to do with luck either). According to Thiel. success is never accidental. I will finish for now with sales: “In engineering a solution either works or fails. [Sales is different]. This strikes engineers as trivial if not fundamentally dishonest. They know they own jobs are hard so when they look at salespeople laughing on the phone with a customer or going to two-hour lunches, they suspect that no real work is being done. If anything, people overestimate the relative difficulty of science and engineering, because the challenges of those fields are obvious. What nerds miss is that it takes hard work to makes sales look easy. Sales is hidden. All salesmen are actors: their priority is persuasion, not sincerity. That’s why the word “salesman” can be a slur and the used car dealer is our archetype of shadiness. But we react negatively to awkward, obvious salesmen – that is, the bad ones. There’s a wide range of sales ability: there are many gradations between novices, experts and masters. […] Like acting, sales works best when hidden. This explains why almost everyone whose job involves distribution – whether they’re in sales, marketing, or advertising – has a job title that has nothing to do with those things: account executive, bus. dev, but also investment banker, politician. There’s a reason for these re-descriptions: none of us wants to be reminded when we’re being sold. […] The engineer’s grail is a product great enough that “it sells itself”. But anyone who would actually say this about a real product must be lying: either he’s delusional (lying to himself) or he’s selling something (and thereby contradicting himself). […] It’s better to think of distribution as something essential to the design of your product. If you’ve invented something new but you haven’t invented an effective way to sell it, you have a bad business – no matter how good the product.” [Pages 128-130] And if you do not like it said this way, watch HBO’s Silicon Valley episode 15… I may come with more comments when I am finished with this great book. This entry was posted in Must watch or read and tagged Start-up, Thiel on May 31, 2015 by Hervé Lebret. So what’s good: monopoly or competition? Two minor events drive me to write a minor post about monopoly or competition. What’s best? On the one hand, I just read an article about the poor status of the patent landscape and how to improve it. 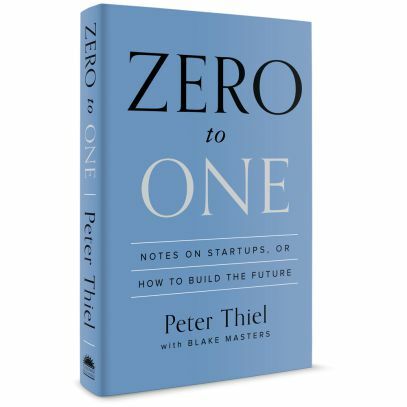 On the other hand, I listened yesterday Peter Thiel – yes, the same Peter Thiel I have so often mentioned already here – in a class he gave at How to Start a Startup? So what’s the link? Well a patent is a monopoly given by the authorities as an incentive to innovate (just check http://en.wikipedia.org/wiki/Patent). 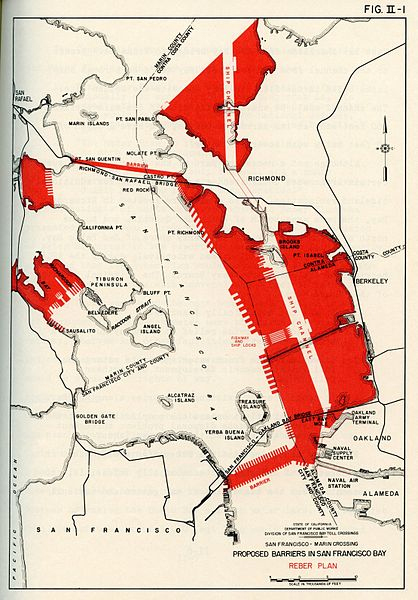 But some authors, in particular Boldrin and Levine, claim this is an “unnecessary evil”. I just read again my notes about their Against Intellectual Monopoly and their arguments are strong. In fact, capitalism in general considers competition is good and monopoly is bad. But Peter Thiel has different views. Just check two slides from his talk below. 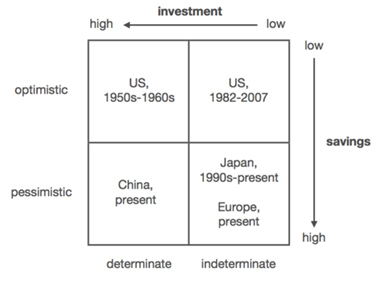 Peter Thiel, a famous libertarian, claims that start-ups should look for monopolistic positions! What a strange paradox… I honestly do not know who is right! probably, as Boldrin and Levine wrote, “in media stat virtus, et sanitas”. Maybe all this is BS, and unfortunately, I never read Jean Tirole. “He was awarded the Nobel Memorial Prize in Economic Sciences in 2014 for his analysis of market power and regulation of natural monopolies and oligopoly.” He would have much to say about this… maybe you can react and in the mean time, you can listen to Thiel’s full talk (see at the end). This entry was posted in Must watch or read and tagged Intellectual Property, Patent, Thiel on October 22, 2014 by Hervé Lebret. 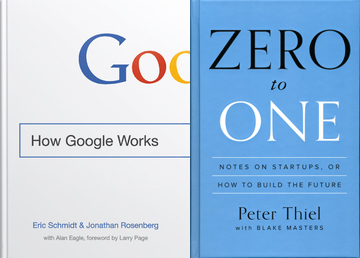 This entry was posted in Start-up data and tagged Google, Thiel on October 7, 2014 by Hervé Lebret. 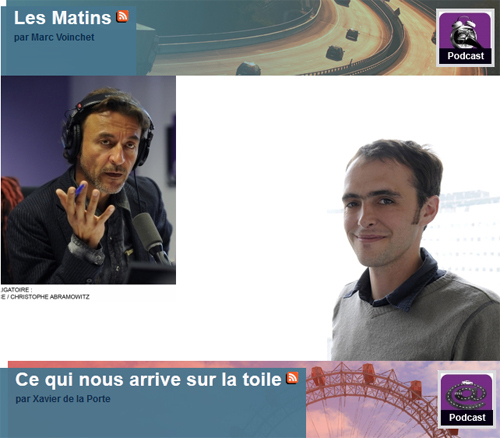 As often, Marc Voinchet had a remarkable broadcast this morning on France Culture. First a great guest, Cécile Lafontaine for her book The body market, the commodification of human life in the era of bioeconomy (in French only – my translation of the title) which goes beyond the adressed topic by asking questions about the tensions between the individual and society. It provides excellent answers to the debates opened by Thiel. But here I stop and let you discover the interview if the subject interests you. In addtion Xavier de la Porte wrote an excellent chronicle that I copied directly from the website of France Culture on the French part of my blog (in order to be able to translate it here): The brain is not one million lines of code. When we look at what the digital world has to say about the body and life, there is a high likeliness to find quickly intimidating predictions: “Soon we will all be cyborgs” and “In 2045, we will have completely merged with the machines.” A specialist in this kind of statements is a guy named Ray Kurzweil – which I mentioned here already. Pretty awesome inventor, wise businessman, Kurweil became in the last twenty years the promoter of a movement called transhumanism – which considers that humankind will soon merge with machines, thus giving rise to post-humanity – ideas that Kurzweil sold worldwide with books and conferences, ideas that he also sells to super-powerful companies: Google has hired him to run a program on teaching language to machines. The problem with Kurzweil – and many transhumanists – it is their strength of conviction that passes through a scientific-techno-philosophical discourse which we feel is not right, but without knowing exactly where. But recently , I came across evidence that Kurzweil says non-sense. I enjoyed my discovery and I want to share this joy with you. It has to do with an important aspect of transhumanism: the belief always repeated that very soon we can duplicate our brains into computers. Kurzweil believes that this will be possible in 2020, and moreover, he has stored the brain of his deceased father in that perspective. And in order to support his thesis, here is the type of speech that Kurzweil gives: “The code of the brain is in the genome. The human genome is 3 billion base pairs, six billion bits, which is about 800 million bits after compression. After eliminating redundancies […] this information can be compressed into approximately 50 million bits. But the brain is about half of that, about 25 million bits, or one million lines of code.” And here, in a ruthless and intimidating demonstration, Kurzweil shows us a million lines of code suffice to duplicate the function of the human. (I say “sufficient” because it is just one million lines of code; for comparison, Microsoft Office 2013 is 45 million lines of code). Except that for once, someone came forward to explain that Kurzweil told non-sense. This person is called Paul Zachary Myers. He is a recognized biologist at the University of Minnesota, specializing in developmental genetics and writes a blog called Pharyngula. And it is on his blog that Myers explains very calmly why what Kurzweil says is wrong. Here is his demonstration. The premise of the reasoning of Kurzweil is “The code of the brain is in the genome.” Totally wrong, says the researcher. The code of the brain is not encoded in the genome. What is in the genome is a collection of molecular tools which is the regulating portion of the genome, which makes cells sensitive to interactions with a complex environment. During its development, the brain unfolds through interactions between cells, interactions which we understand today a small part only. The final result is a brain that is much more complex than the sum of nucleotides that encode a few thousand proteins. One can not deduce a brain from the protein sequences of its genome. How will these sequences express is dependent on the environment and the history of hundreds of billions of cells, interdependent on each other. We have no way to calculate in principle all possible interactions and functions of a single protein with tens of thousands of others who are in the cell, which is the essential first step in the execution of the unlikely algorithm of Kurzweil. In support of his argument, the researcher takes a few examples of some proteins and shows how the interactions are numerous, complex and mostly still unknown. What is very interesting is that Myers states that he is not hostile to the idea that the brain is a kind of computer, and we will be able to artificially reproduce one day its functions. But he says that he does not need to say stupide nonsense, as does Kurzweil and build hisreasoning on false premises. And here is for you, Kurzweil. If only more researchers could take more time to bring their expertise to question the transhumanist speech, it may save us to hear many absurdities and attend another commodification of human life, which is about seeling biotechnology dream. 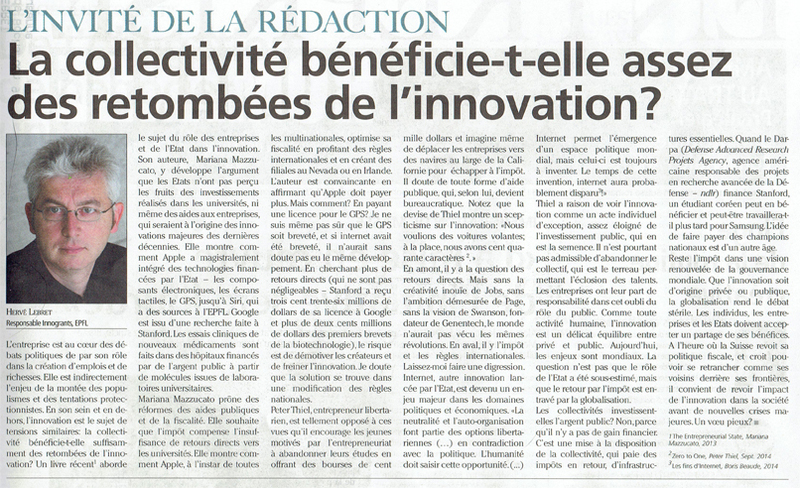 This entry was posted in Innovation and tagged Google, Kurzweil, Policy, Thiel, Transhumanism on May 9, 2014 by Hervé Lebret. Typical Blank’s messages! But Thiel envisages another possibility: “Apple is absolute antithesis of finance. It does deliberate design on every level. There is the obvious product design piece. The corporate strategy is well defined. There are definite, multi-year plans. Things are methodically rolled out.” (I do not think Thiel talks here about intelligent design which is opposed to Darwinian theory, but the coincidence is a little puzzling! 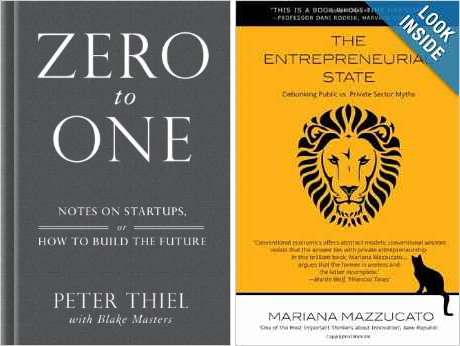 This is the end of my notes on Thiel’s great vision about start-ups. This entry was posted in Innovation, Must watch or read and tagged Culture, Disruptive innovation, Founder, Innovation, Thiel on March 19, 2014 by Hervé Lebret. Thiel’s concludes his Class Notes Essays (CS183 —Stanford, Spring 2012) with philosophical considerations about the uniqueness of founders (class 18) and the singularity of technology (class 19). 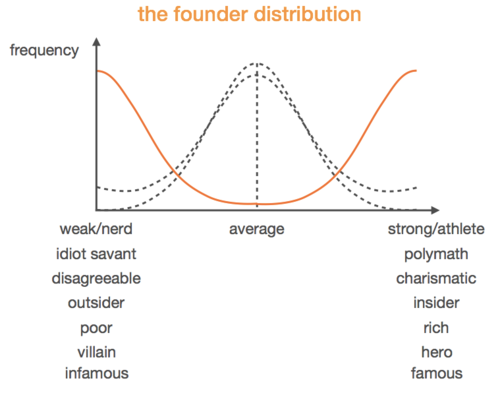 Founders are a topic I regularly covered, for example with European Founders at Work or Founders at Work. Again Thiel presents unusual ideas about founders. He sees them as a combination of extreme outsiders and extreme insiders. 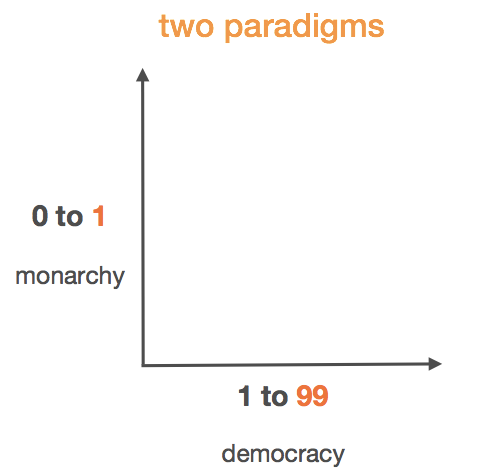 Thiel is convincing when he explains that a start-up is not a democracy. Founders are Kings, and Thiel may have followed René Girard at Stanford since he then develops a theory of scapegoats. The god may become a victim. One guest: “My take is that innovation comes from two places: top-down and bottom-up. There’s a huge DIY community. These hobbyists are working in labs they set up in their kitchens and basements. On the other end of the spectrum you have DARPA spending tons of money. Scientists are talking to each other from different countries, collaborating. All this interconnectedness matters. All these interactions in the aggregate will bring the change. Reading these last lines, I remembered the conclusion of my book: “And I suddenly remembered an essay by Wilhelm Reich, the great psychoanalyst, which he wrote in 1945: “Listen, Little Man”. A small essay by the number of pages, a big one in the impact it creates. “I want to tell you something, Little Man; you lost the meaning of what is best inside yourself. You strangled it. You kill it wherever you find it inside others, inside your children, inside your wife, inside your husband, inside your father and inside your mother. You are little and you want to remain little.” The Little Man, it’s you, it’s me. The Little Man is afraid, he only dreams of normality; it is inside all of us. We hide under the umbrella of authority and do not see our freedom anymore. Nothing comes without effort, without risk, without failure sometimes. “You look for happiness, but you prefer security, even at the cost of your spinal cord, even at the cost of your life”. This entry was posted in Innovation, Must watch or read and tagged Culture, Disruptive innovation, Founder, Innovation, Thiel on March 17, 2014 by Hervé Lebret. 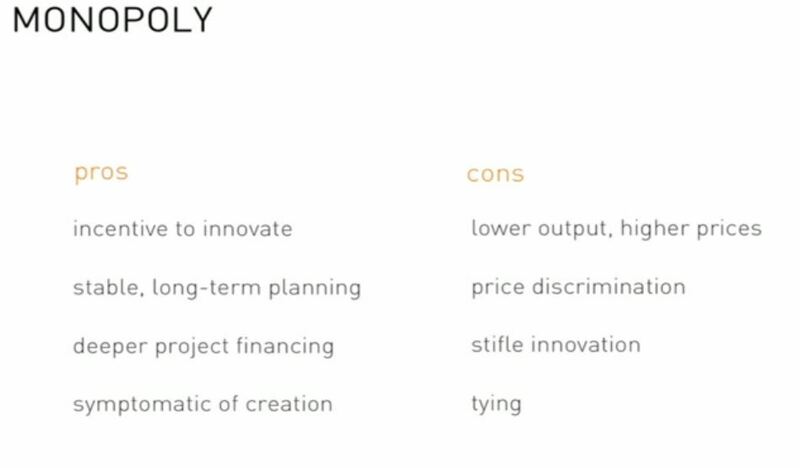 I am still not sure how Thiel’s class notes on start-ups will finish, but they are more and more fascinating, class after class. At least his vision of this world is. – Determinate, pessimistic: no technology or energy source is considerably better. You have what you have. So ration and conserve it. – Indeterminate, optimistic: there are better and cheaper energy sources. We just don’t know what they are. So do a whole portfolio of things. and unfortunately many mistakes were made. If Thiel were to bet on soemthing, it would apparently be Thorium as a nuclear fuel. Class 15 is about other future bets. Class 16 is about maybe the highest of all bets: life and death. “Like death itself, modern drug discovery is probably too much a matter of luck. Scientists start with something like 10,000 different compounds. After an extensive screening process, those 10,000 are reduced to maybe 5 that might make it to Phase 3 testing. Maybe 1 makes it through testing and is approved by the FDA. It is an extremely long and fairly random process. 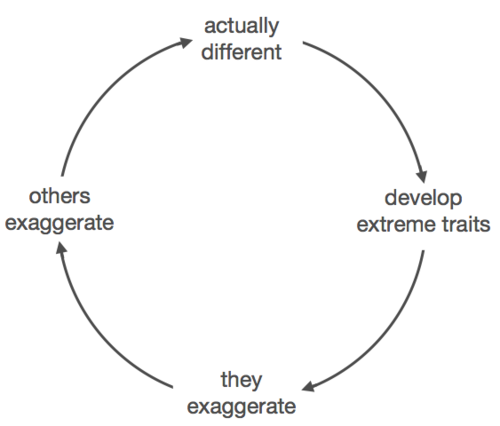 This is why starting a biotech company is usually a brutal undertaking. Most last 10 to 15 years. There’s little to no control along the way. What looks promising may not work. There’s no iteration or sense of progress. There is just a binary outcome at end of a largely stochastic process. You can work hard for 10 years and still not know if you’ve just wasted your time. Class 17 is about the brain, artificial intelligence, maybe the last frontier in technology, certainly going further than the previous topics addressed here. – Vicarious is trying to build AI by develop algorithms that use the underlying principles of the human brain. They believe that higher-level concepts are derived from grounded experiences in the world, and thus creating AI requires first solving a human sensory modality. – Prior Knowledge (acquired by Salesforce since Thiel’s class) is taking a different approach to building AI. Their goal is less to emulate brain function and more to try to come up with different ways to process large amounts of data. They apply a variety of Bayesian probabilistic techniques to identifying patterns and ascertaining causation in large data sets. In a sense, it’s the opposite of simulating human brains. – The big insight at Palantir (…) isn’t regression analysis, where you look at what was done in the past to try to predict what’s going to be next. A better approach is more game theoretic. Palantir’s framework is not fundamentally about AI, but rather about intelligence augmentation. This entry was posted in Innovation, Must watch or read and tagged Culture, Disruptive innovation, Founder, Innovation, Thiel on March 15, 2014 by Hervé Lebret.